No more cold, hard toilet seats! 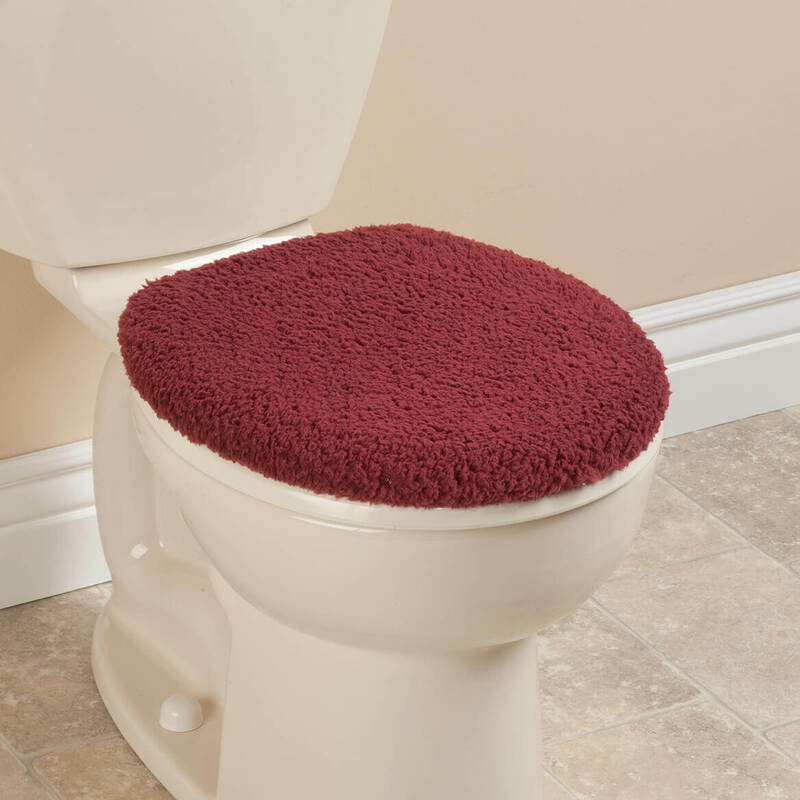 Our newly redesigned sherpa toilet seat lid cover by OakRidge™ keeps your toilet seats warm and cushioned. Soft toilet seat and lid features stay-in-place elasticized edges. Fits standard round and oval lids. Machine washable; air dry. Polyester/PVC.u003cbru003eNote: due to manufacturing changes, some colors may vary slightly from swatches shown. 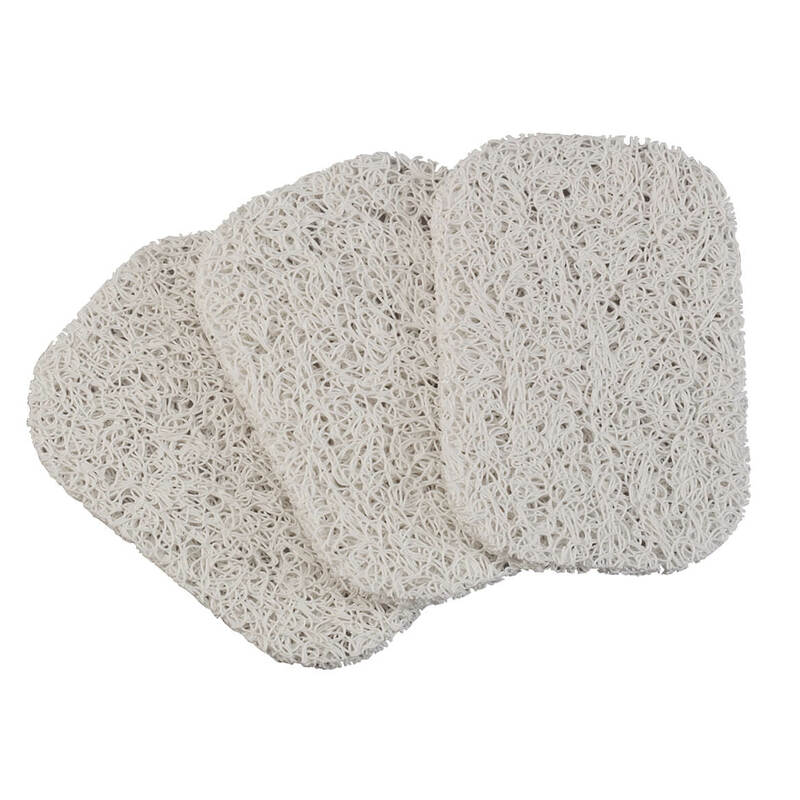 Sherpa cover by OakRidge™ keeps your toilet seat warm and cushioned. Seat cover features stay-in-place elasticized edges. Fits standard round and oval seats. Machine washable; air dry. Polyester/PVC.u003cbru003eNote: due to manufacturing changes, some colors may vary slightly from swatches shown. Save your soap from becoming a wet, wasteful mess. Soap savers are designed to make bars last longer by allowing air flow underneath for fast drying. Perfect for bathroom sinks and showers, they keep slippery soap bars in their place and are easy to rinse clean. Mesh design crafted from PVC strands can be trimmed to fit any home or travel soap dish. Set of 3 soap holders, each approx. 4 1/2″ long x 3 1/2″ W x 1/2″ high. With its perfect square shape, this textured shower mat offers non-slip protection and added comfort. 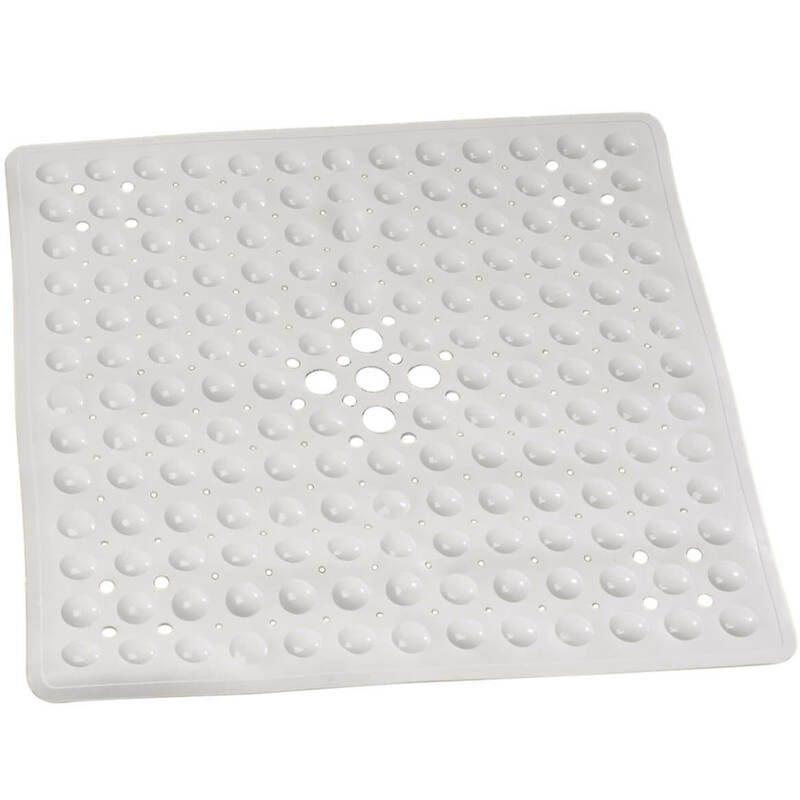 Suction-cup grip keeps square shower mat in place; drain holes keep water running through. Specify color: white or clear. 100% vinyl shower mat remains soft and pliable. Machine wash. 21″ sq. This sturdy bathtub grab bar provides a safe grip for bathing or showering. 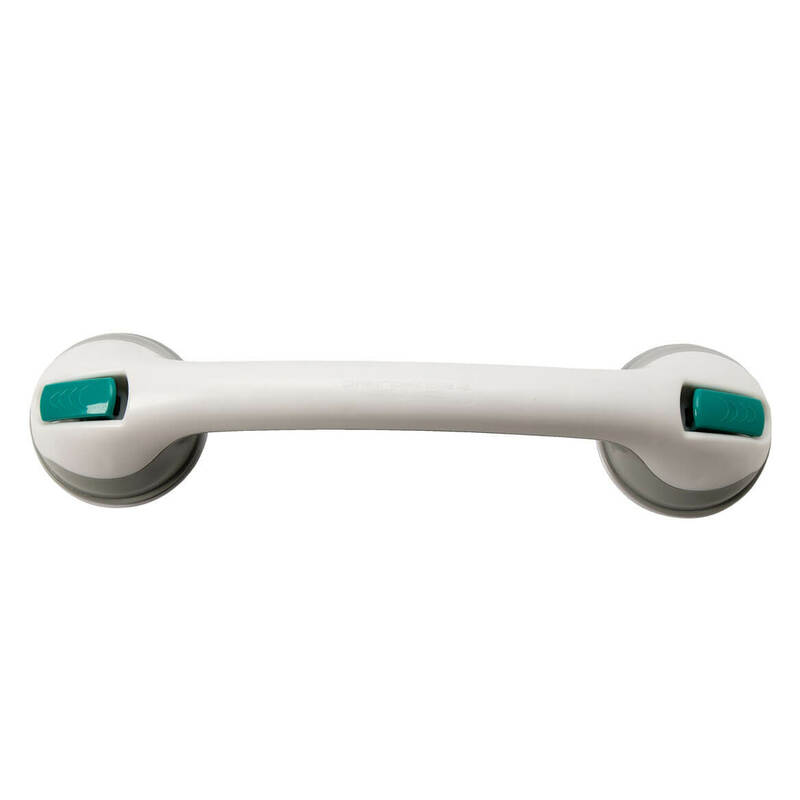 Suction grab bar helps prevent dangerous slips and falls. 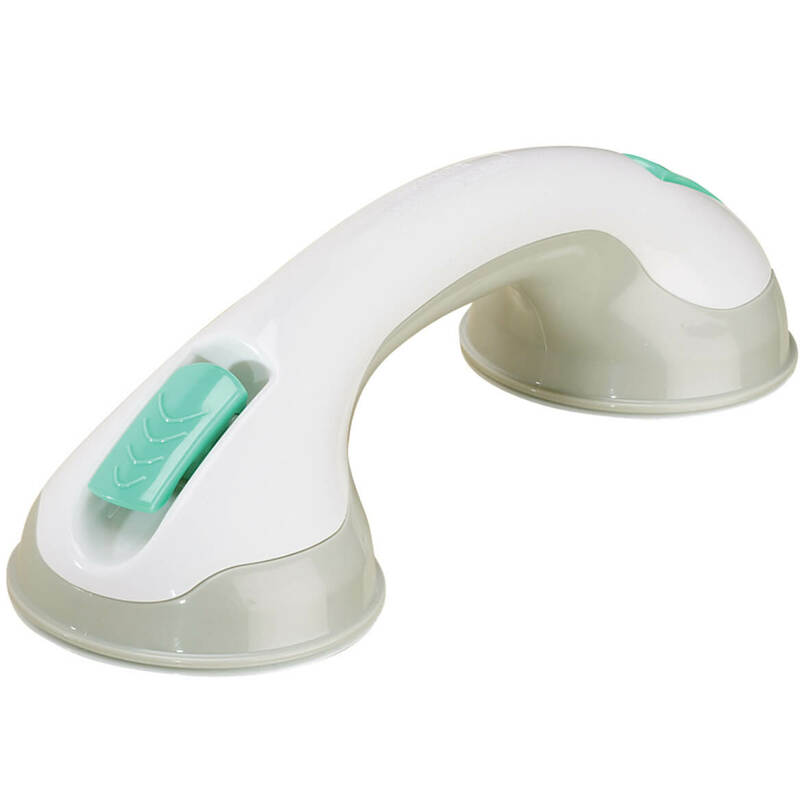 Simply lock bathtub grab bar’s two suction cups down on a smooth, dry surface for an extra secure hold to bathtub edge or shower wall; flip up to remove or reposition. ABS plastic, rubber; wipe clean. 11 1/2″ long. These sturdy suction cup grab bars provide a safe grip for bathing or showering—helping prevent dangerous slips and falls. Simply lock down the two suction cups of the tub grab bar on a smooth, dry surface for an extra secure hold to bathtub edge or shower wall. Flip up the bathtub safety bar to remove or reposition. ABS plastic, rubber; wipe clean. Supports up to 300 lbs. Bathtub support bar is 16″ long x 3 1/2″ wide. Provides a safe grip for bathing or showering;Helping prevent dangerous slips and falls;Flip up the bathtub safety bar to remove or reposition;ABS plastic and rubber;Measures 16″ long x 3 1/2″ wide; Supports up to 300 lbs. 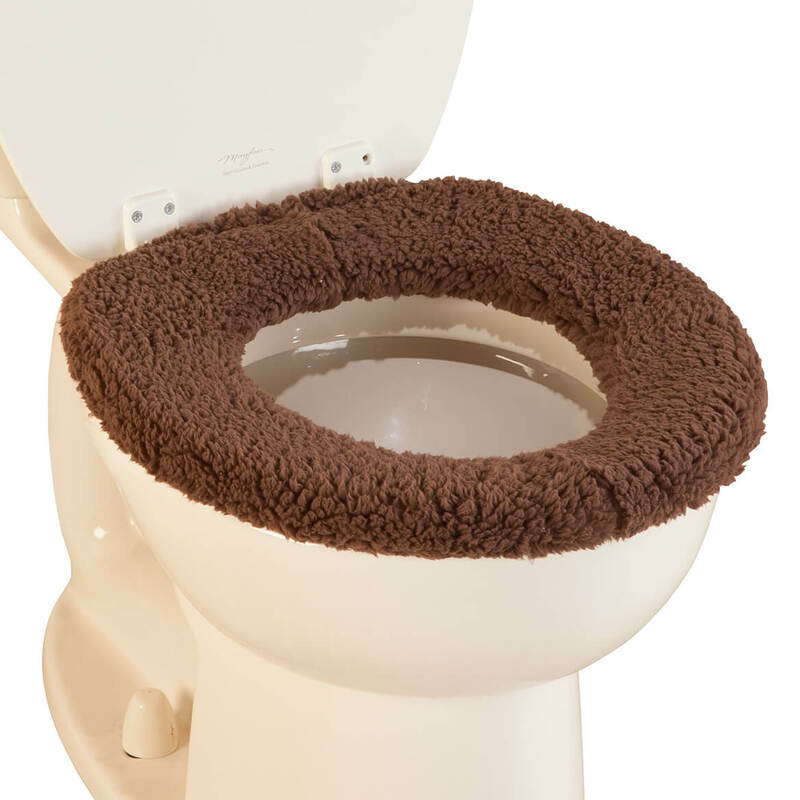 Our toilet seat cover puts a lid on shockingly cold, hard seats. 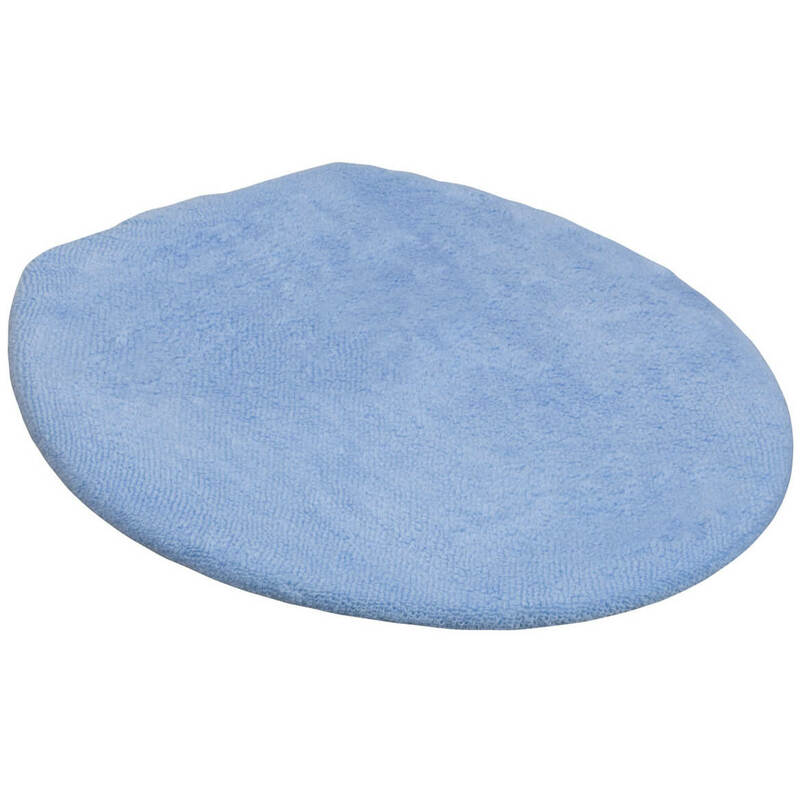 This soft toilet seat cover adds cushioning and warmth, elasticized edges keep them in place. 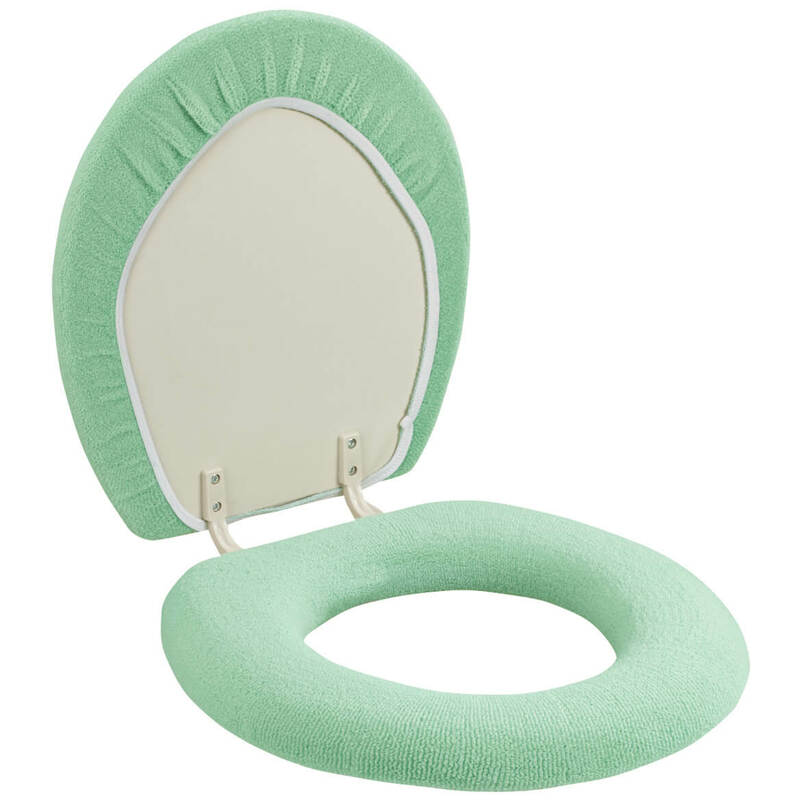 Each padded toilet seat cover fits standard round and oval seats. Fabric toilet seat cover is machine washable, 90% acrylic/10% polyester. Imported. Offering discreet storage for the bathroom’s most important supply, our toilet tissue tower by OakRidge™ makes storage stylish and easy. 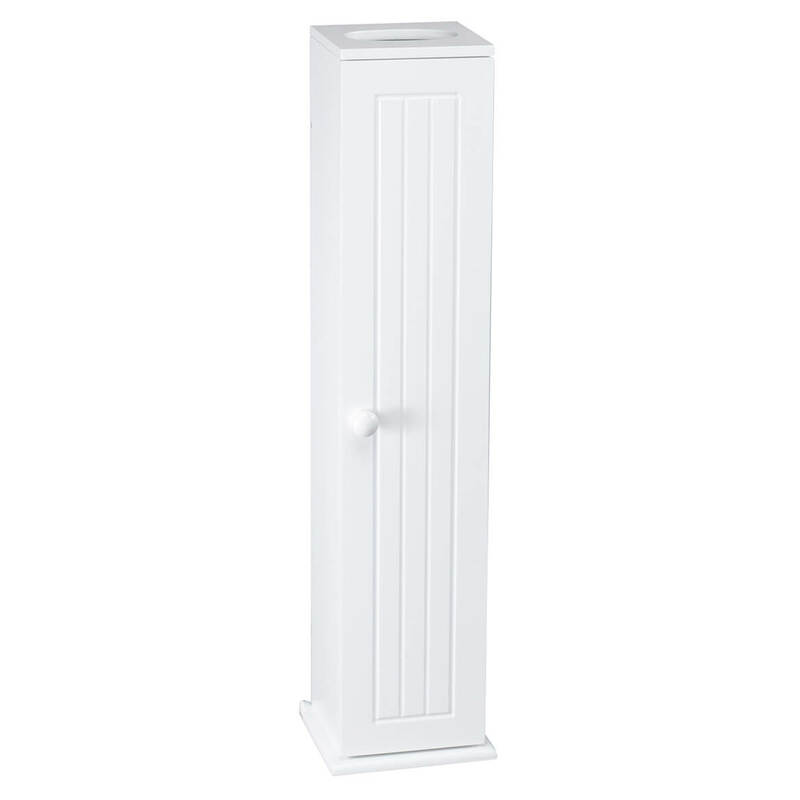 Enhancing any décor, the white wooden toilet paper stand features four adjustable shelves for custom storage, with top opening for a box of boutique-size facial tissue. This toilet tissue holder keeps supplies organized, out of the way, yet conveniently accessible. 5 1/2″ wide x 27″ high x 6 3/4″ long; assembly required (hardware included). No express shipping. 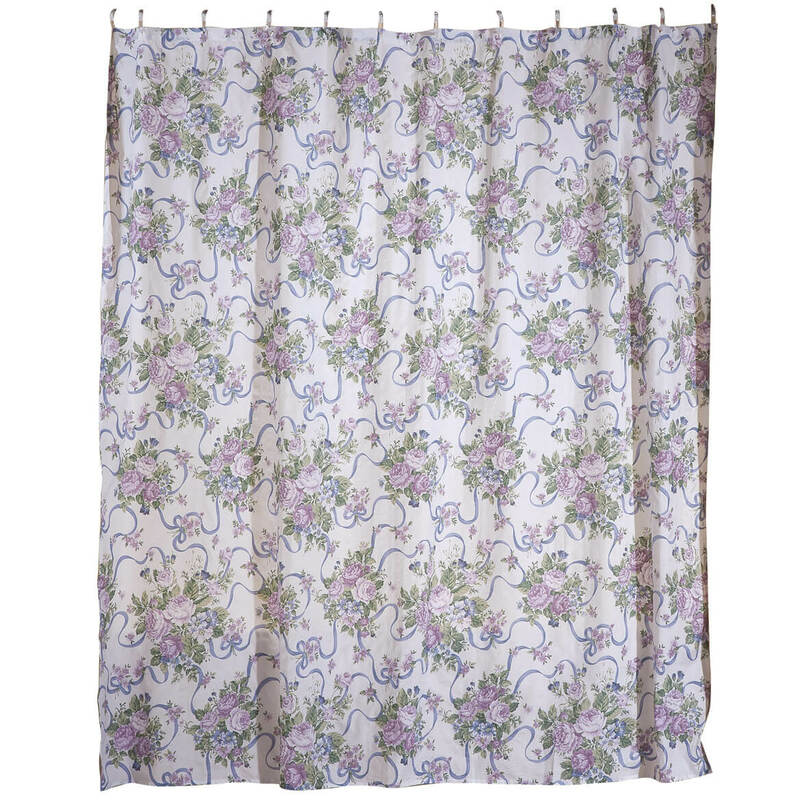 Whether or not you’ve discovered our popular Ribbons and Roses shower curtain set, you’ll love the romantic look for your bathroom. It’s a great way to continue your bedroom décor through to the bath, or simply gorgeous on its own. And, this beautiful bathroom shower curtain set comes complete with 100% vinyl liner and 12 clear plastic hooks—all you need for a quick, affordable bathroom update. 75% polyester/25% cotton shower curtain machine washes and dries without need for ironing. 70″ x 72″. Imported.